ABB solutions for the plastic industry, based on a complete and integrated product portfolio and extensive staff experience, offer more than the addition of individual products. From hot to cold process areas up to palletizing, ABB helps customers achieve not only the efficiency and safety levels set by standards, but also the excellence of finished products and cost-effective operations, essential for improved competitiveness. Plastic and rubber machinery must be reliable in the first place. Across the entire processing cycle, from extruders to winders, up to injection molding, ABB offers a complete and integrated portfolio of solutions, supported by a global service network in all world regions. As a result, the corporation is a one-stop supplier that meets all the requirements of equipment manufacturers. During the extrusion process, for instance, the motor plays a key role to guarantee product quality and to reduce operating costs. In this respect, the variable synchronous reluctance motor synRM by ABB is an ideal solution: its technology and innovative design deliver excellent control performance and overload capacity, combined with high efficiency levels and much smaller footprint for the same power rating. SynRM is a synchronous motors, delivering control performance comparable to permanent magnet motors. With its magnet-free rotor design, SynRM does not require expensive and complex maintenance like a permanent magnet motor. 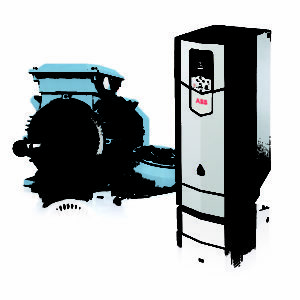 Combined with industrial drive ACS880, SynRM offers open loop control static accuracy close to 0.01% of rated speed, while the DTC control algorithm provides for constant motor rated torque across the entire speed range, from zero to maximum speed, with or without forced ventilation, even without position feedback. With overload capacity up to 150% of rated torque across the entire speed range, the SynRM motor is very flexible, particularly suitable for extruders and, in general, for all applications in the plastic material processing industry. Having less dissipated heat losses from the rotor copper, typical of a standard asynchronous motor, SyRM offers higher power density that an asynchronous motor. As a result, compared to the latter, it is smaller for the same power rating, or it achieves higher efficiency levels IE4 with the same size and power. 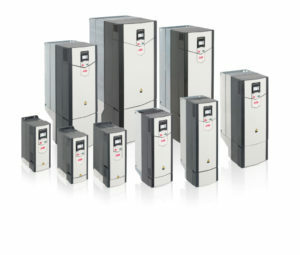 ABB issues certificates that specify the efficiency levels guaranteed by the drive/motor package (ACS880+SynRM), so users can be confident that they are working at high yield and with coordinated products. Working at lower temperatures, the SynRM motor requires no servo ventilation, even at low rotation speeds. This translates into additional benefits: more silent operation; cleaner conditions, as there is no fan blowing up dust from the surrounding environment; lower heat stress on rotating parts such as bearings, extending their life and reducing maintenance costs. Industrial Drives ACS880 with Direct Torque Control (DTC) can control asynchronous, synchronous permanent magnet and synchronous reluctance motors. SynRMACS880 L2low: Compact, efficient, silent and performing, the synchronous reluctance motor (SYnRM) is particularly suitable for plastic material processing operations.